In 1830, the ancient Church of Jesus Christ was restored on the earth by Joseph Smith. This restored Church is formally called, The Church of Jesus Christ of Latter-day Saints; however, it is more commonly known as the “Mormon” Church or the LDS Church. The Mormon Church is led by a prophet of God, who also acts as president of the Church. When one prophet passes away, the President of the Quorum of the Twelve Apostles will take his place as the new prophet. Since the restoration, there have been sixteen prophets/presidents. Each president of the Church has typically had their own area of focus in regards to their work. Together, the prophets have built up the Church to the incredible and inspiring organization that it is today. The first prophet of these latter days, who restored the Church after the Apostasy, is Joseph Smith. Doctrine and Covenants 135:3 states, “Joseph Smith, the Prophet and Seer of the Lord, has done more, save Jesus only, for the salvation of men in this world, than any other man that ever lived in it … He lived great, and he died great in the eyes of God and his people.” Joseph Smith has many great accomplishments to his name. Besides restoring the Church, he also translated the Book of Mormon, which is another testament (in addition to the Bible) of Christ. He also received many revelations, which he documented. You can read those revelations for yourself in the Doctrine and Covenants. To date, he is the only prophet who has been martyred by assassins. Joseph Smith was the president of the Church from 1830 – 1844. 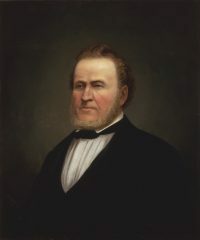 The second prophet is Brigham Young, who was president of the Church from 1847 – 1877. Brigham Young was very involved in colonizing the American west and prioritized building temples. He helped to establish Brigham Young University in Provo, Utah, and the University of Utah, in Salt Lake City, Utah. The third prophet is John Taylor, who was president from 1880 – 1887. John Taylor was born in England. As of now, he is the only president who has been born outside of the United States. During his presidency, he helped to organize the Church in England. It was during his presidency that the Primary Program started. When you go into a neighborhood to preach the Gospel, never attempt to tear down a man’s house, so to speak, before you build him a better one; never, in fact, attack any one’s religion, wherever you go. Be willing to let every man enjoy his own religion. It is his right to do that. If he does not accept your testimony with regard to the Gospel of Christ, that is his affair, and not yours. Do not spend your time in pulling down other sects and parties. We haven’t time to do that. It is never right to do that. 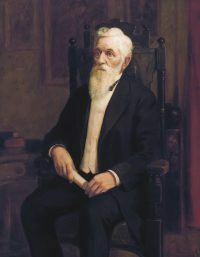 The fifth prophet is Lorenzo Snow, who was president from 1898 – 1901. He was not a president for very long. However, Lorenzo Snow set up a huge part of the Church that members participate in today: tithing. With the help of tithes from the members, Lorenzo Snow was able to help bring the Church out of debt. The sixth prophet is Joseph F. Smith, who was president from 1901 – 1918. Joseph F. Smith was a dedicated member of the Church all his life. Astoundingly, he served a mission in Hawaii at only fifteen years of age. Today, there is an age requirement. Male members must be at least eighteen, and female members need to be nineteen. As a president of the Church, Joseph F. Smith worked hard to establish a better reputation for the Church. He wanted the Church to have good relations with other organizations, including the Government. You might have guessed from his name that he was related to the first prophet, Joseph Smith. Joseph F. Smith was the son of Hyrum Smith. 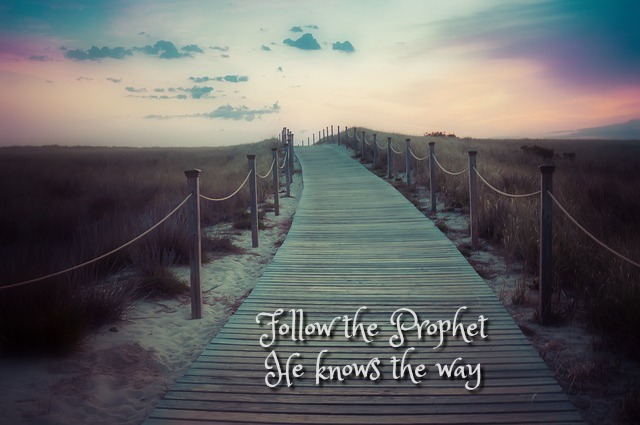 The seventh prophet is Heber J. Grant, who was president from 1918 – 1945. Heber J. Grant did a lot as president to help the members of the Church heal from the aftermath of WWII. In addition, he set up the church’s welfare program. The eighth prophet is George Albert Smith, who was president from 1945 – 1951. George Albert Smith was a great missionary as well. As president, he focused on improving missionary work among the members. He also worked hard towards the Church’s family history program. George Albert Smith is also related to Joseph Smith (the first prophet of the Church). The tenth prophet is Joseph Fielding Smith, who was president from 1970 – 1972. At age 93, Joseph Fielding Smith was older than any other prophet when he started his presidential tenure. However, he was still able to do a lot of work for the Church during his presidency, including consolidating the current church magazines (the Ensign, New Era, and Friend). He has an impressive knowledge of the Church, which he’s displayed through the many gospel books he’s written. 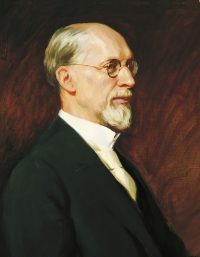 Joseph Fielding Smith is the son of Joseph F. Smith (who was the sixth president of the Church), and the grandson of Hyrum Smith. The eleventh prophet is Harold B. Lee, who was president from 1972 – 1973. Harold B. Lee did a lot of work in regards to simplifying various church functions. He also helped to develop the Self-Help and Relief program within the welfare program. 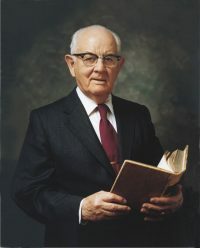 The twelfth prophet is Spencer W. Kimball, who was president from 1973 – 1985. His main legacy is for ending the restriction on black African descendants receiving the priesthood. He also was the first president to encourage every able-bodied male member of the Church to serve a mission. The thirteenth prophet is Ezra Taft Benson, who was president from 1985 – 1994. Ezra Taft Benson focused heavily on the Book of Mormon. He encouraged all members to read and distribute the Book of Mormon. The fifteenth prophet is Gordon B. Hinckley, who was president from 1995 – 2008. As of today, Gordon B. Hinckley is the oldest president to preside over the Church, being 97 years old at the time of his death. Gordon B. Hinckley focused on building temples as a president. The number of operating temples more than doubled during his tenure. 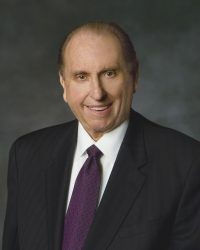 The sixteenth, and current prophet today is Thomas S. Monson, who started his presidency in 2008. Thomas S. Monson has been in leadership positions within the Church all his life. He was called as a bishop over a ward when he was only 22 years old. Thomas S. Monson focuses on serving others, and he encourages his members to follow his example. Watch the video below to hear from members of the Mormon Church about why we need living prophets today!